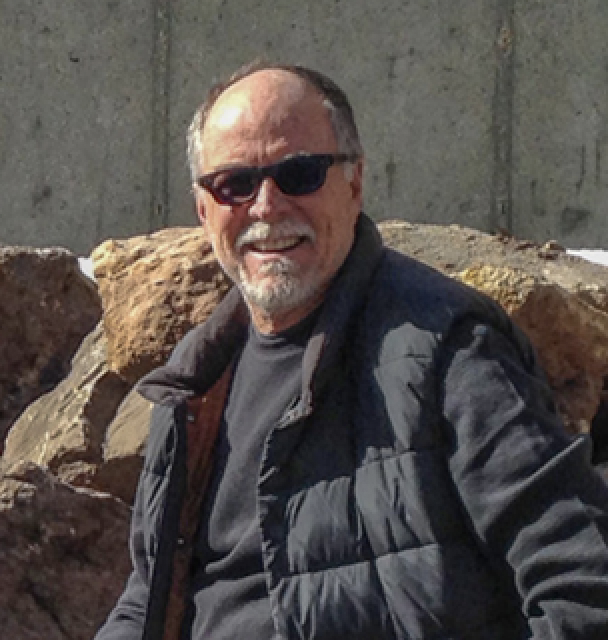 Steve moved to Park City full-time in 2011 from Santa Monica, CA., where he lived for some 40 years. During that time he retained architecture as a hobby, remodeling several homes and factories, but his primary business became manufacturing specialty packaging. Growing up in Denver he never lost his desire to live close to the mountains. He finally turned his vacation home in Park City into a full time residence. Moving the family to Utah also allowed him to dive back into architecture full time. Secluded on a hillside in Thayne’s Canyon just a stones throw from beautiful Golf Greens and minutes from historic Main Street, this once spectacular home was hidden inside of it’s tired 1970’s facade. A major renovation started in April 2014 features bright spaces opening up to amazing views of local ski resorts and the Uinta mountain range. The fresh new Mountain Contemporary design combines Euro-style detailing with fresh modern finishes, mixing natural stone, distressed wood and rusted metal accents. The third floor expansion provides a dramatic vibe perfect for a small dinner party or a large, lavish affair. This renovation features floor to ceiling windows, a sculptural, modern fireplace, two separate seating areas, a semi-formal dining room and professional grade kitchen, all perfect for entertaining or a quiet evening at home. Contemporary comforts for owners and guests alike, plans include 6 bedrooms, 7 bathrooms, office, screening room, gym, a magnificent wine celler and much more. It sits on 2.5 acres of beautifully private woodlands. This 1959 mid-century modern home enjoyed an exclusive, secluded location with easy access to everything in West L.A., but was in need of serious updating inside and out. Keeping the original expansive sliding glass doors on two sides of the L-shaped home, the renovation maintained the indoor/outdoor lifestyle originally intended to take advantage of the beautiful canyon weather. Everything else however was replaced and updated. The walls of the small kitchen were removed to create a great room providing a site line from one side of the home to the other; a kitchen island with connected dining room table serves to divide the kitchen from the living room. Unique features include 2 custom outdoor fireplaces, 3 outdoor seating areas, a widened hallway created with Stanton’s signature “box” closets with exposed, recessed neon lights. New hard scape and landscape was created to complement the lines of the house while providing a sense of privacy entering the home. A dramatic renovation for this classic 1960 Ranch house on a spectacular lot. The home sits on a flat, half-acre along a gurgling stream with waterfalls rushing along the back of the property providing serenity and privacy. Designed with vaulted ceilings, exposed beams, a spectacular indoor/outdoor fireplace, and floor-to-ceiling glass doors opening the entire great room to the back deck and stream, a perfect home for entertaining. Plans featured 3 bedrooms, including 2 master suites, dramatic bathrooms, designer kitchen, and an attached 3-car garage. Spaces retain the charm of the original 60’s character with fresh new sophistication. This tired 70‘s manufacturing facility features an excellent location just 5 minutes from LAX and 4 major LA freeways. It was intended to house a manufacturing operation, as well as an educational not-for-profit that required both retail and workshop space. With efficiency and economy in mind, one side of the building was closed off, cleaned up and readied to lease with it’s own private entrance, driveway and two loading docks. Common space features a large lobby with reception desk, two large offices and a showcase-style glass wall from which to view the robotic machines and cleanroom assembly area. On one side, the manufacturing facility has two loading docks and staging areas, employee lunchroom and bathrooms, cleanroom and production areas. The opposite side of the common area houses the nonprofit with open desk space, a warehouse and retail area, loading dock, public restrooms and a large work and conference area to accommodate 50+ attendees for educational programs. Both spaces incorporate Re-Use materials as part of the design; two long walls are made of old doors painted in various shades of green – mimicking the exterior paint of the building. Besides reusing old doors as walls, white pegboard and OSB were used for interior walls, floors and desks. A unique home in L.A., this 100+ year old brick building in Venice, California was originally a 5 room hotel upstairs and a neighborhood grocery store downstairs. The single family residence was redesigned to honor the old world charm of the hotel, as well as the utilitarian feel of the grocery store – all with a chic modern vibe 1/2 a block from the beach. The renovation added a separate two-story building for garage and studio, attached by a second floor walkway and creating a private courtyard in between. Cork flooring, casement windows, bluestone counters, slate guest bath, rooftop garden, high polish concrete floors, 3 Japanese soaking tubs, cutaway exposed brick walls, Stanton’s signature “box” closet exposed, recessed neon lights. original stamped tin ceiling, and an restaurant-style kitchen with massive dining table to comfortably seat 16 were just some of the home’s new features. In 2005 the Navy St. home sold for a record $2.4 million, the highest sale price ever for a single family residence in Venice. It was sold to a successful actress who later sold it to an equally successful Rock-n-Roller.